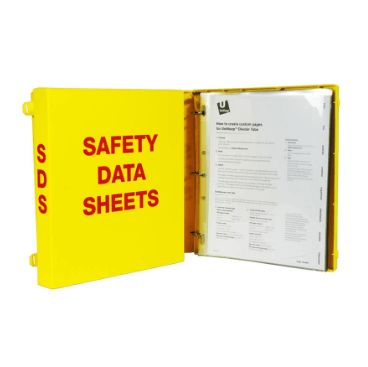 From the general appearance, it often seems that the preparation of the GHS Safety Data Sheets is quite easy and straightforward. However, if you happen to be looking at the aspect of the compliance and implementation, it will be quite an involving task given the fact of the complex nature that the task turns out to be more so for the uninitiated ones. GHS SDS must be prepared if in any case you happen to be handling any chemical or formulation that is deemed as being hazardous according to various classes. In case your chemicals happen to get to the cut off values for the hazaedous classes then as a manufacturer, importer or dealer you must make sure that you have prepared the GHS safety data sheets-SDS. Take an example of a chemical that fall into the acute toxicity class with a concentration limit of 1% and more which as such must have the required GHS SDS. For those chemicals that are known to be carcinogenic or those that affect the reproductive organs, the cut off level is often set at less than 0.1%. Even though these steps are in a way standardized, they often as well call on you to ensure that you have complied with the various sections that deal with a number of considerations such as identification, handling, composition, first aid measures and all the issues that may be related to the chemical in question. If it happens that you are looking at a single chemical, then this is not as difficult to deal with. Though if the case be that a chemical is but a part of the formulation, you will realize that the classification will be a bit of a challenge and as such you will need some bit of professional and expert help so as to come up with the right classification. You as well need to bear in mind the fact that not all countries have actually adopted the GHS SDS in the same manner. You need to note the fact that in actual sense there is no set of regulations and demands on any country to follow any given set of rules in so far as this need goes. There are even some countries especially those in the European Union that have added some extra norms. Exporters taking their products to the European market, must have complied with the requirements as have been set by the EU over and above the fact that they have complied with their home country's GHS SDS documents. A good number of countries have actually adopted the GHS recommendations, either in part or in full, and they may as well have their own recommendations. Given this fact, you will notice that it happens to be quite important for you to have had an expert in safety data sheet compilation handle the compilation of country compliant safety data sheets for you. Learn more here: https://en.wikipedia.org/wiki/Occupational_safety_and_health.